Head First Kotlin is a complete introduction to coding in Kotlin. This hands-on book helps you learn the Kotlin language with a unique method that goes beyond syntax and how-to manuals and teaches you how to think like a great Kotlin developer. You'll learn everything from language fundamentals to collections, generics, lambdas, and higher-order functions. Along the way, you'll get to play with both object-oriented and functional programming. 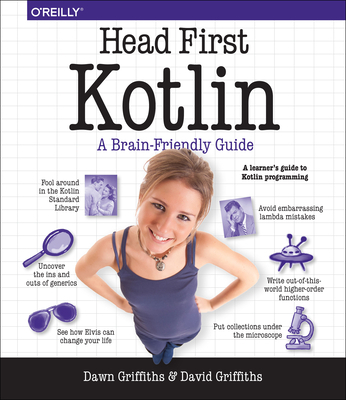 If you want to really understand Kotlin, this is the book for you.